Andy Murray exited the French Open at the quarter-final stage after being outplayed by the Spanish player David Ferrer. Ferrer’s tenacity and agility brought him victory in four sets at Roland Garros. Murray now needs to work on his form and fitness ahead of the next grand slam tournament, which happens to be Wimbledon. He thinks the back problem that has affected him all year is beginning to ease. "I feel OK," he said. "I'll need to put some good work in before Wimbledon. I need to make sure I get a solid base." He was undecided about defending his title at Queen’s Club, waiting to see how he felt after the French disappointment. "I haven't spoken to any of the guys about that," he said. "I was purely concentrating on this tournament. I'll sit down and discuss this event and then the best way to prepare for Wimbledon." 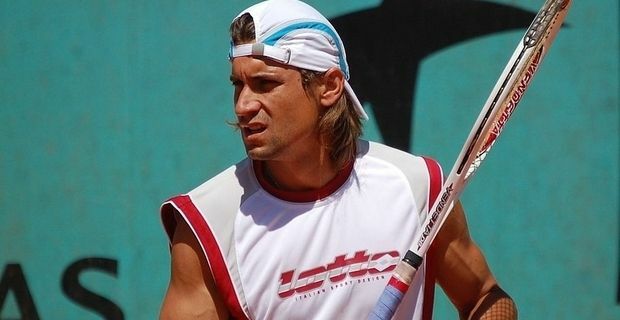 Ferrer was a formidable opponent. Every time Murray seemed to have gained an advantage with a break, Ferrer broke straight back. The match was characterised by Murray cursing himself loudly after each mistake, while Ferrer remained focused and calm. "I went for my shots," Murray said. "If I hadn't done, I would have got criticised for that. If I do go for my shots, then I get criticised for making mistakes. I played the way that I thought was best to win the match. I don't think it was down to a psychological thing because I went for it. It was down to poor execution."